Many Canadian individuals are aware that they must keep track of how many days they are present in the U.S. because nasty tax and non-tax surprises await those who spend too many days in the United States. This is especially the case for those individuals who visit the U.S. on a regular basis. Given the importance of “day count,” why do so few travelers trigger an examination based on the amount of time they have spent in either country? The answer may come as a shock to most: prior to 2014 neither the U.S. nor Canada knew how many days someone had been within its borders. That will change in 2014 as new rules go into effect. On June 30, 2014, both Canada and the U.S. implemented the final phase of the Entry/Exit Initiative of the Perimeter Security and Economic Competitiveness Action Plan in which both countries will share information on people entering and leaving their respective country. In other words, both countries will for the first time be able to independently determine the number of days spent in each country. What this means for Canadians is that they must be much more vigilant than they have been in the past about counting and reporting their days in and out of each country. An individual who spends too many days in the U.S. in one year (more than 182 days), or who spends too many days in the U.S. over three consecutive years (more than 182 days under the Substantial Presence Test, which counts all the days in the most recent year, 1/3 the days in the prior year and 1/6 the days in the year before that) risks being deemed a resident for U.S. income tax purposes. Being deemed a U.S. resident brings with it the following U.S. tax consequence. 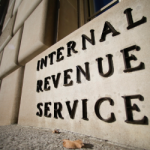 Liability for U.S. income tax on worldwide income and potential penalties for not filing various U.S. tax forms. The U.S. taxes U.S. residents on their worldwide income. 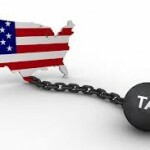 If present in the U.S. for too many days, an individual risks becoming a deemed U.S. resident and therefore subject to tax on his/her worldwide income. In light of the fact that the IRS will now be able to obtain day counts, it becomes extremely important for those individuals who travel to the United States on a frequent basis to keep track of the U.S. days and ensure that they understand the tax ramification of spending too much time in the U.S. It may be worthwhile to skip that U.S. trip or wait until next year if it means falling offside of the U.S. residency rules. © Copyright Kotler van den Brink & Company Site by DreamLife All Rights Reserved.